Being a parent has all kinds of challenges associated with it. It starts right at the beginning with sleepless night and changing diapers, and goes on into their toddler years, their school days, and beyond. Caring for a child never stops, even when they are grown up with children of their own! This is a good thing; children need their parents. Without a guiding hand, it will be difficult for anyone to face the world and all it’s good and bad points. However, being a parent is about more than simply being there. It is about really engaging with the children and spending as much quality time together as you can. This time is especially important if you are busy in other aspects of your life such as work, or you have many hobbies that you find take up a lot of time. Carving out quality time with your children is hugely important to make them feel loved, contented, and as though they can come to you with any problem. 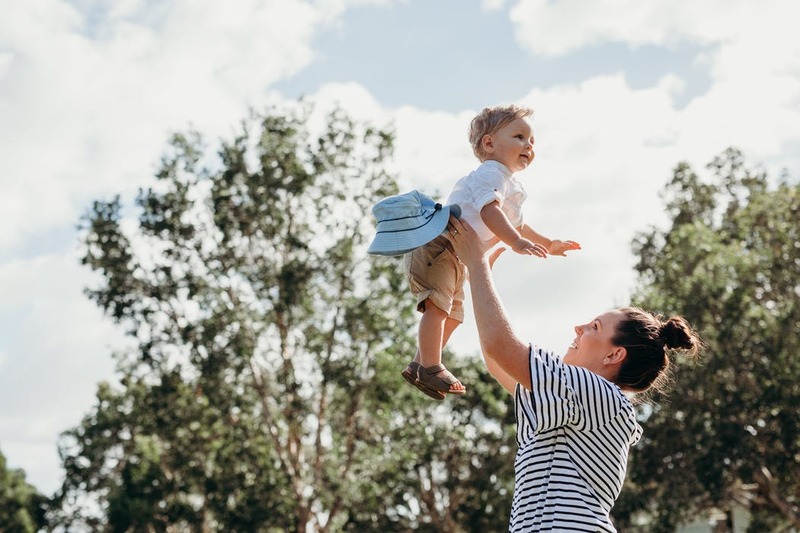 With that in mind, below are five great ways to spend quality time with your little ones, and prepare them for later life. Children are not born with smartphones in their hands, and they certainly don’t need them to have fun! They need you, and they need you to be completely present for them. Smartphones, tablet, and other tech have become the ultimate 21st-century distraction, and you’re not the only one who might feel somewhat uncomfortable in leaving the phone in another room, or not glancing at your social media feed for an hour while playing with your children, but it needs to be done. Not only is this good for your children because they can see that you are fully engaging with them and not being distracted by social media or work, but it is good for you too. If you can enjoy playing with your children, or helping them with a project, and not be checking your phone all the time, you will feel more relaxed and less stressed out. Do you look at your child when he or she asks a question? It can be so easy not to if we’re doing something else. Answering an email, inputting data into a spreadsheet, reading a book, watching TV, cooking… all of these things and more can mean that we just don’t look into our children’s eyes to answer them. However, it is crucial to change this habit and to start turning to look at your child when you answer a question. Not only is this polite, and something that you will want your child to do when out in the real world, but it also means that your child will be reassured that you are listening and that you are answering them honestly. If you are in the middle of something that cannot wait and you really can’t engage with your child, ask them to wait just a moment and then answer when you are more able to. It’s not ideal, but it’s better than speaking while folding the laundry or replying to your boss about a project at work. If you aren’t taking care of yourself,then it will be impossible to truly spend any quality time with your children and care for them as well. Children are hard work, and they will make you tired and stressed at times, even though they are also wonderful! However, because they do take a lot of looking after, you need to be in the best shape possible to do so properly; it’s only fair to you and your children that this is the case. If you are feeling stressed or tired, you need to take some time to rest and get better. It might mean that you need to have someone else watch the kids for a couple of hours, or longer, so that you can have some recovery time, for example. If there is ever a time when you feel you can’t cope or you’re having trouble, don’t be ashamed or afraid to ask for help, and if you need further professional help for any kind of addiction, you can look at this website for treatment center advice. Whatever it isthat is making you unwell;it needs to be dealt with so that you can be more present with your children and spend some truly quality time with them. Your recovery could be as simple as a quick nap or soak in the tub with some essential oils, or it might be a stay in a rehab or treatment center. Whatever it is, it must happen. Just because you’re in the same room as your children that doesn’t mean you are spending quality time together. Watching them play or enjoy an activity is not the same as being there for them. That’s why it is important that you join in and (perhaps literally) get your hands dirty. Otherwise, would it really make any difference if you were there or not? That’s a worrying thought, and an uncomfortable one for most parents. Therefore, get down on the floor with them or pull up a chair next to them and join in with their activity or games. You might feel self-conscious at first, but after a short while you will feel much more at ease and you will enjoy this special quality time together. We all know how busy life can get, and without a solid plan that we can stick to, sometimes things just never get done. That’s why it can be ideal to make a weekly plan to ensure that you have put aside time to spend with your children. You can do anything at all in that time from playing games to going for a walk to swimming or anything else. You might choose to bake a cake or do some gardening. If there is a school or sporting event, this means you can be there for it too. Knowing that you have this time to look forward to can make you both much more excited for it.